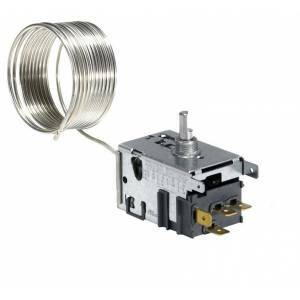 Evaporator thermostat for refrigerators seen. Cooling thermostat is a device that regulates the temperature inside the refrigerator or freezer. If your refrigerator or freezer not cooling works or not, this article may have a problem.